Take advantage of the online video explosion! The ability to create & connect valuable video content with your target audiences has never been more essential, faster or simpler. Join international video marketing expert Ben Brophy on this new, intimate workshop & rapidly learn how you can create & share multiple different types of videos which will accelerate your results & improve your business. 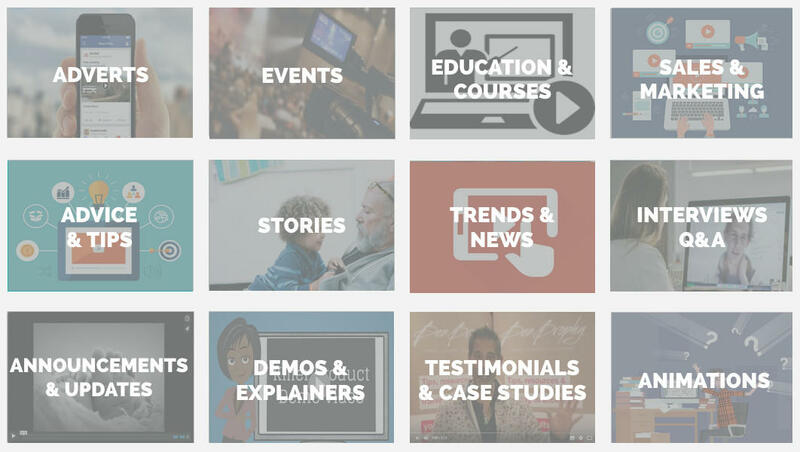 By lunch you'll have created a video & learnt where you can access 1000's of videos you can use to help your audiences. Don't get left behind - essential & transferable skills for 2019 & beyond! Why this training is essential! Please watch this 1 minute video & understand how EVERY DAY you're not tapping into the video opportunity you & your business are losing out! Yes please, I'd like to reserve my space on this workshop. "A great day full of amazing ‘discoveries’ in the world of online video. A tremendous return on investment." "I am absolutely amazed with the content, information & tips provide by Ben on this course - plus we had interaction, shared information, set backs & also success & pointers on how to improve, improvise, adapt, change & most our personal goals. I can put my hand on my heart to say that Ben Brophy is a human being who cares for the success of others. You have delivered above & beyond what you have said - I am proud to be part of this community." "I don’t think you could add more value as for me it was excellent value for money. Ben has an amazing & simple delivery of his course. Taking you along step-by-step at comfortable pace. He allowed plenty of time for people to contribute & involved everyone too. He is genuinely interested in you & in supporting & helping you grow. Massive thank you Ben for your amazing work. " "Ben is down to earth and easy to get on with which makes him very approachable in moments where you may be unsure and need to ask questions. His delivery on any topic is very easy to understand and it is quite clear he loves people and loves helping in what ever way he can. Ben makes sense and over delivers with his knowledge. If you want to learn from someone who is easy to get on with and speaks lay mans language then Ben is the one to look for. 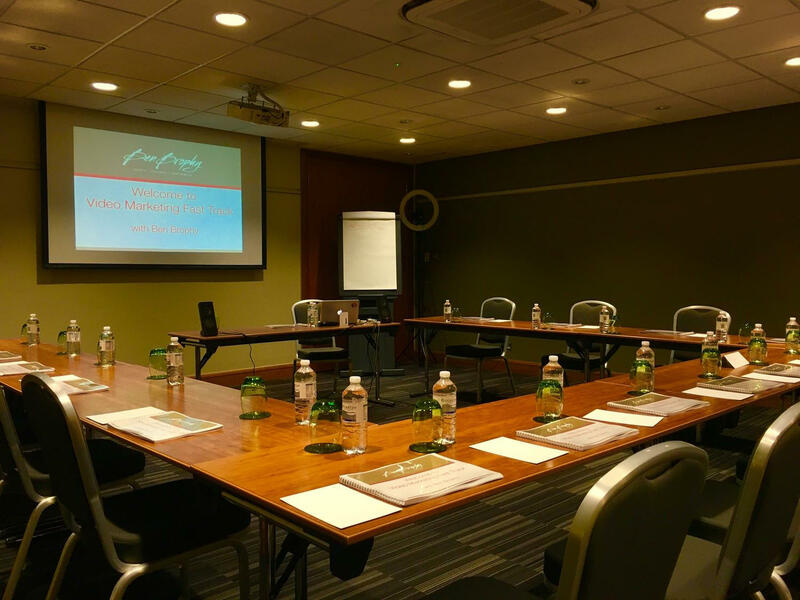 I recently attended a video marketing workshop in London and as usual Ben delivered a great workshop and I left fully understanding everything easily. " "Video Marketing Fast Track is a brilliant course! I went into it with a good knowledge of how to create a video, but wanted to learn more about how to attract more customers, and to get my videos ranked on YouTube. I came away with an extensive knowledge of everything that I wanted to get out of the course. I also picked up some quick tips that I can add to my work in video to improve it. This course is bursting at the seams with insider info. I would recommend this to anyone. Ben is a fantastic teacher and is always open to ideas of how he can improve and learn himself, which is a brilliant quality to have. He is happy to listen to anyone and always celebrates the small wins. Thank you for a brilliant day!" "Attending the 1 day course with Ben Brophy and it was worth every penny. It gave me the tools to learn how to engage with customers eventually leading to sales. I would HIGHLY recommend for anyone interested in learning more about video marketing, ideal for beginners or experienced video marketers." "Ben is a very knowledgeable & generous leader in the field of video marketing. Ben’s practical yet business minded insight & sharing is invaluable for anyone in the business or internet marketing arena." "I wish I’d have met Ben years ago. He’d have saved me so much!" "It was brilliant. After this workshop I think I can increase my business 400%. That’s the great value of this workshop." "Gold, gold, and more gold ... is the only way to describe Ben Brophy's Online Video Academy 1-day Video Marketing FastTrack Workshop. This course is impressively packed with content which is delivered in a way even those technically-challenged would find easy-to-follow and practical. Having been on a number of similar courses recently, I can easily say it is exceptional value for money and absolutely AWE-AND-THEN-SOME! Thank you Ben, for sharing your expertise, experience and energy! " "My head is full of so many great ideas & initiatives. I just know this is going to help take my business to where I want it to be"
"Really learning about the leading edge of internet marketing.You come away with SO much. It’s opened up a whole new world." 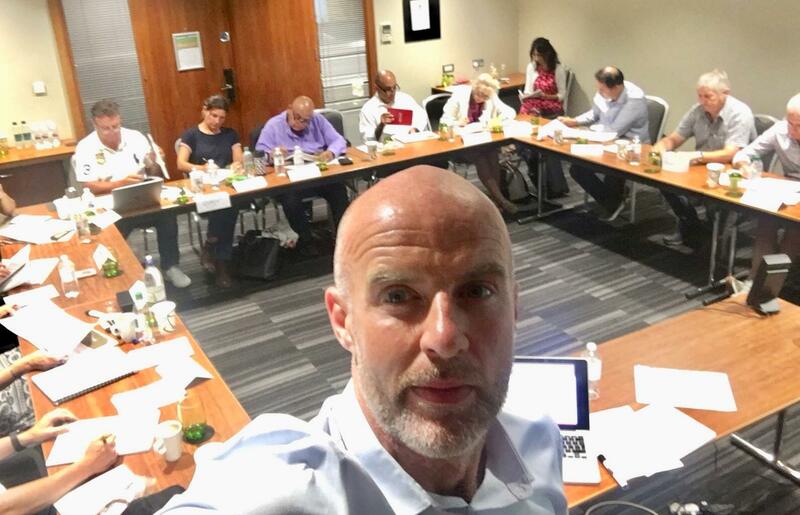 "I coach in the Premier League - players, teams - all sorts of different levels, whether it’s entrepreneurs or established CEO’s, so learning this applies to the whole range of clients & possibilities - so that’s fantastic!" "To me as a coach, it’s also where Ben is coming from when he’s training. This guy really cares that the people in his classroom GET this information. So it’s not just that it’s delivered with a huge amount of consideration towards the end product but it’s also delivered with an absolute commitment that each individual really does get the best from it….and the combination of those two makes this unbeatable. I THOROUGHLY, thoroughly recommend it!" 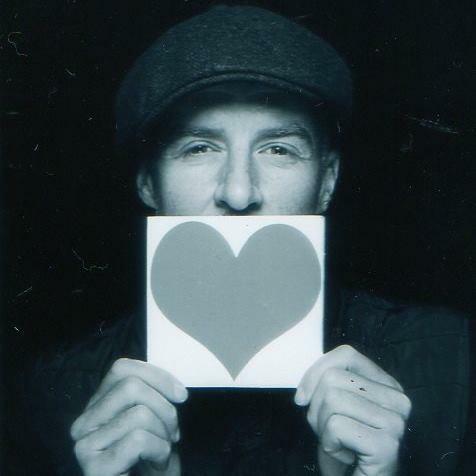 "I have met very few people who gives as abundantly as Ben does. Nobody has ever explained how to upload, download, create videos as well as Ben has. I highly recommend his courses." "I know very little about internet & technology. Somehow I fell into this workshop & now the internet world is no longer crazy to me." "I thought I knew a lot before for my small business - I thought that I had it pretty well nailed but I realised I’m way behind the game & I’m really looking forward to implementing now what Ben’s told us, which is just numerous amounts of new, valuable information. I can’t wait to put it into practice." "Amazing amounts of content. So useful. Really practical. 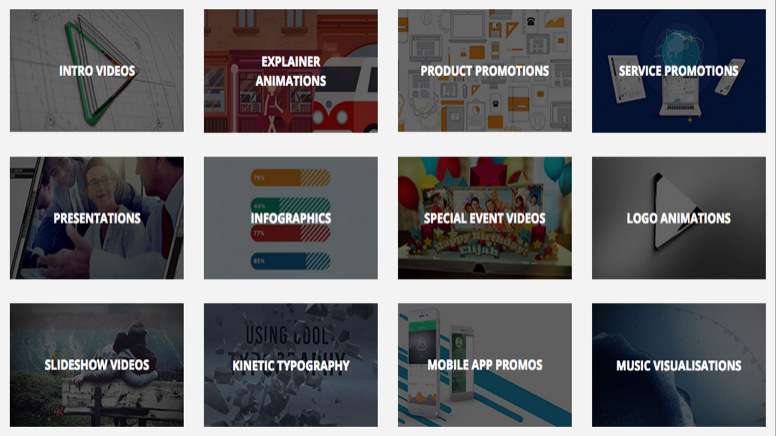 Full of loads of websites which can surround yourself with the right tools to do whatever you want, with video for next to nothing, whether it’s animated video, enhancing Facebook Live or whatever you need to do, Ben got it nailed." "I can't thank Ben enough for the information he imparted during our phone call. He shared resources with me that I never knew existed and gave me amazing ideas to move my business forward. Ben is the ultimate professional and exceptionally knowledgable on all things online marketing. He's both encouraging and practical with his advice, and it's very evident he wants you to succeed. I'm so excited about putting his suggestions into action. My next steps are now crystal clear and that's exactly what I needed. Thank you Ben!" "I'm so grateful for my last minute decision to change onto the Internet Business School at a recent event. I feel like it was divine intervention. As I would not have come across Ben Brophy & The Online Video Academy. If you are researching as to whether you should consider attending any of their courses, I would advise just do it. What Ben teaches you is Gold and you get over & above what you have invested. This course has been my best investment to date. Thank you"
You'll learn how to create & share all these video types..
Every single day that you're not aware of the opportunities of video & how to create & share them, you are rapidly missing out to those who do. What you'll learn. Our promise! 10. 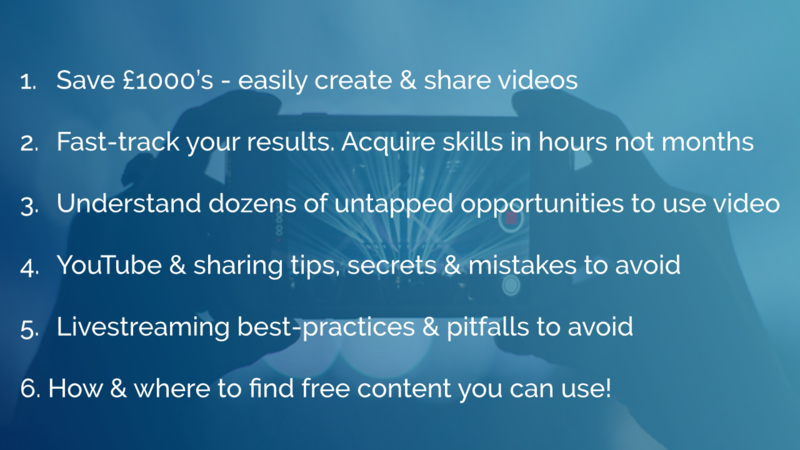 Know how to use & create video to help you reach more people, have more impact & accelerate your results. Most people & businesses have no idea of the wealth of opportunities available to them with video. Both tactically & strategically! You're about to learn simple & powerful ways to increase your results - simply & effectively. Don't leave money on the table - leverage video! The simple fact is that online video is where it's at. You need to know why, how & where to create & share videos, to add more value to more people's & customers lives, for which you will be rewarded. Can you share & syndicate your videos? A LEADER, IN THE MINORITY - you’ll be one of the top few percent who actually understand how easy it is to all of this...not playing catch up in months & years to come. EMPOWERED - you’ll know how to create multiple types of videos to engage with your audience, add value for them & increase your business & impact. SAVE £1000’s - no need to spend £1,000’s on video editors, teams & expensive pieces of kit. AHEAD OF THE CURVE - take advantage of being a leader in your industry by putting video to work for you in multiple different ways. HIGHLY IN DEMAND & TRANSFERABLE SKILLSET - whether for a business, project, job or charity the skills you'll learn are 100% transferrable and hugely valuable. 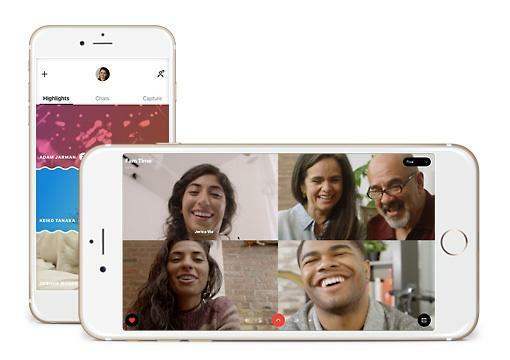 Understanding dozens of ways that video can be used to grow a business PLUS understanding how to make multiple video types can make you hugely desirable in today's work environment. If you work for someone else, this training will upskill you with some of the most valuable abilities & expertise, making you much more important as an employee & able to bring more relevant & practical skills to your organisation. RESPECTED, INDUSTRY LEADING TRAINING - don't take our word for it, Ben has trained all over the world with people of all ages, abilities & cultures. We pride ourselves on making training fun, insightful, easy to follow & packed full of high value content that respects your time. MAKE MONEY OFFERING AS A SERVICE - every single business can benefit from video. Unfortunately most businesses have no idea of either the opportunities & potential uses or how to create them. As a result there is a huge demand for these skills & this knowledge & many people are making good income by offering their video marketing skills as an in demand business solution. ZERO RISK - We know you may have reservations so here's the deal...we take the risk. Try out the training & if it's not everything we say then take advantage of our money back guarantee. Nobody's ever taken it, but it's there for you. The risk is all ours! In return for 1 day of your time & the nominal investment you are going to get a ridiculous amount of value you can immediately apply to ANY business or project. 1. What will be my return on investment - will I get more value than what I pay for? 2. Can I apply & profit from the information immediately? 3. Is this skill set essential & totally relevant? 4. What is the value of my time if I was to try and figure this all out myself....if indeed I could? 5. How many more prospects, leads, customers, contacts or sales do I need to get to cover my one off investment? 6. What will it cost me in lost opportunity to not know about this? Video Myth # 1: "Video isn't relevant to me, my business or project"
TRUTH: EVERY single person, project & business can benefit from using video, as I will share with you via the bonus gift of my new book 101 Ways to Use Online Video. 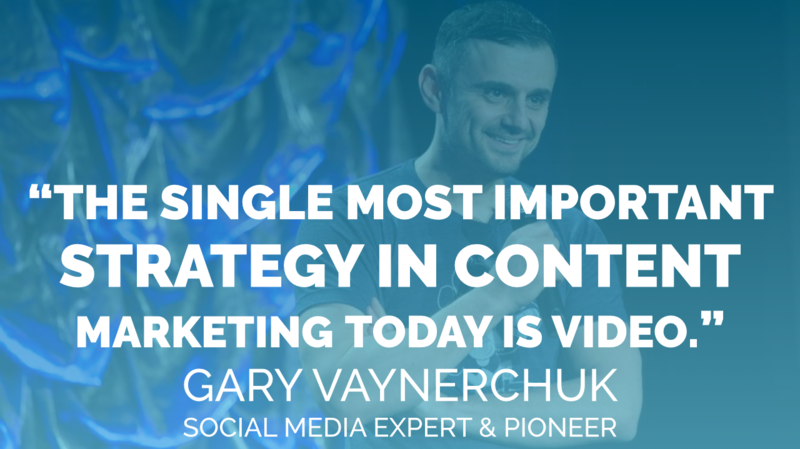 If you truly don't know how you can benefit from video then you definitely need this course. Video Myth # 2: "It's too difficult & complicated to make videos!" TRUTH: Making videos has never been easier or more accessible. It's about knowing the simple tips, tools & secrets. You'll learn multiple ways you can easily create professional videos in moments. Video Myth # 3: "I need to go in front of a camera." Don't worry, you don't have to go in front of a camera to create video. Over 60% of people don't want to be in front of a camera. We will show you at least 10 ways to create videos which don't even require a camera or anyone being in it! Video Myth # 4: "I'll need to hire & pay a small team of people to shoot my video!" TRUTH: Thanks to digital technology you don't need a crew to handle special effects or lighting. The only 'team' you'll need is your tripod. And that's only if you want to go in front of camera. Most of the techniques don't require any camerawork - just easy to use tools. Video Myth # 5: "I don't have enough time to create & share videos." 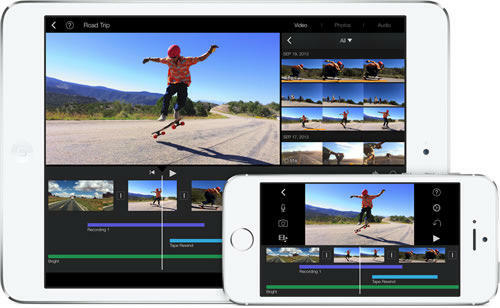 TRUTH: Creating videos has never been faster or easier, especially with the available apps & the fact you have constant access to your phone & internet. You never don't have enough time, you have a lack of focussed priority or efficiency which means you need this even more to help you LEVERAGE your efforts & free up your time! Here's another secret you'll learn about. You don't even need to create videos. You'll discover the smartest & quickest way to leverage videos! Video Myth # 6: "I don't know how to edit OR I can't afford to hire an editor!" TRUTH: All you need to do is be aware of a few key aspects and the tools available to you and you'll be able to easily edit & share your own videos even just from your Phone! Video Myth # 7: "I don't have the money to purchase an expensive camera!" TRUTH: You don't need an expensive camera. When was the last time you watched a Facebook or YouTube video & said to yourself 'that wasn't shot on a £3,000 DSLR camera'? I bet never. If you want to shoot footage your Phone is a fully functioning video recording & editing studio just waiting to be tapped into. 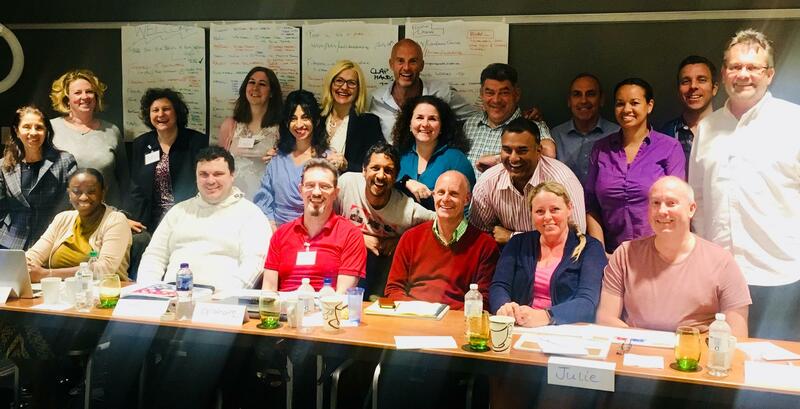 Reserve your space on this brand new course & learn the most powerful & important business & marketing skills anyone can have in 2019, fully backed with our 30 day money back guarantee. We've chosen this location because of previous delegate feedback commenting on the combination of wonderful conference facilities and it being extremely accessible - just a 10 minute walk from Kings X St Pancras & 1 minute from Russel Square tube station, or for drivers, with NCP parking underneath. Teas & coffees are provided complimentary throughout the day & there are numerous shops, restaurants & mini-markets within a one minute walk. You'll like it! Of course we're going to give you some, because we all love them! 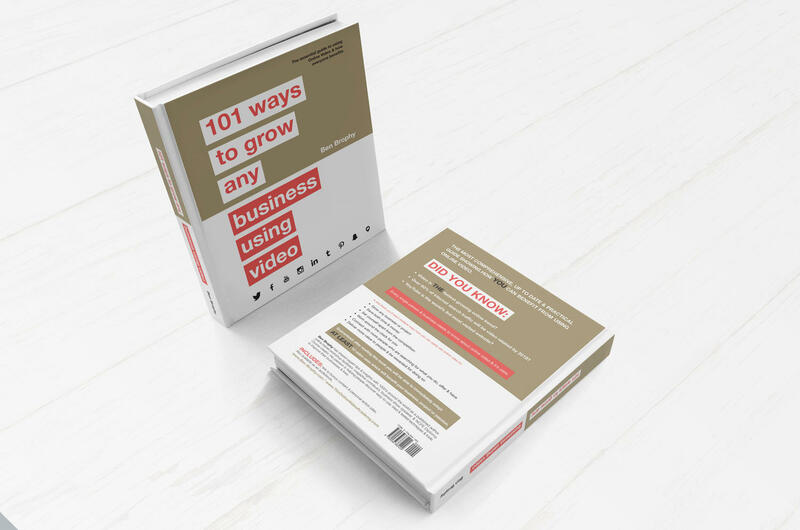 Be among the first to receive Ben's new book '101 Ways to Grow Any Business Using Video' - you'll get both the ebook & audio version. 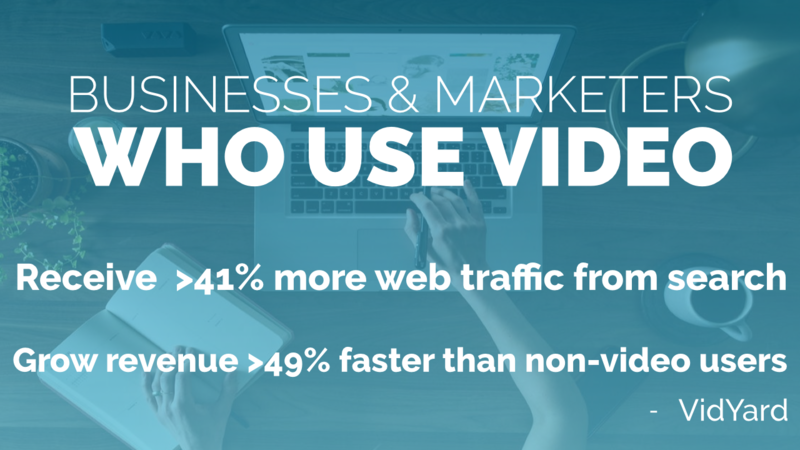 It will give you dozens of ways you can successfully adopt video. To ensure you remember everything that is covered you will get a full colour manual packed with step by step instructions, full list to all tools & resources plus screenshots which you can also make any additional notes in. This will help ensure your sucess! Super simple guidesheets which you can use very quickly & easily to ensure you're doing the right things & avoiding the pitfalls & mistakes that most video creators & sharers use. 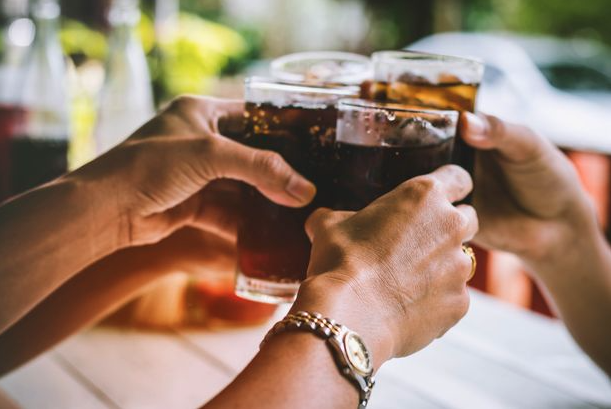 For those who want to informally discuss ideas, ask further questions & network beyond the workshop, we can share a drink afterwards to enhance friendships & take the learnings deeper. This proves popular & always brings out some extra bonus insights. Ben's passion & purpose is to assist people, which he’s been able to do all over the world, through various platforms: working with charities & NPO's, writing for magazines, co-authoring books, creating content for websites, speaking at leading international business shows, working with underprivileged youth, running Government Pilot Schemes, ranking multiple content, people & sites at the top of both Google & YouTube, creating online & offline courses & assisting clients to achieve millions of views on platforms. 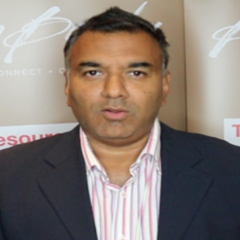 He’s worked alongside some of the world’s best within their respective fields including Dr Menis Yousry, Simon Coulson, Danny Rampling, The European Business Show, The Essence Foundation, Southport Weekender, HayHouse Publishers & youth development organisations such as Raleigh International, Project Peru & Amoria Bond Charitable Trust. As a lead trainer for the UK’s Internet Business School he’s trained & coached thousands of entrepreneurs and business owners alongside other leading experts within their niches, teaching cutting edge strategies & tactics. He co-authored the Diploma in Internet Marketing modules - a nationally recognised qualification accredited by both Continuing Professional Development (CPD) & NCFE - an Investing In Quality (IIQ) centre which provides assurance that both content & delivery are of the highest standards whilst giving formal recognition to the courses. He is (semi-mockingly but endearingly) nicknamed 'Mr V' by peers & colleagues for his genuine desire to consistently deliver as much value as possible for those he interacts with. He enjoys sharing insights & ideas to help improve people's lives, in his down to earth, approachable & friendly manner and you will be sure to get 110%. 1. Will this save me time & money? ABSOLUTELY. All our training is created to save you months or years of time - to rapidly fast-track both your learning & your results. We share the best & most important tips, tricks & info. 2. What will be my return on investment? 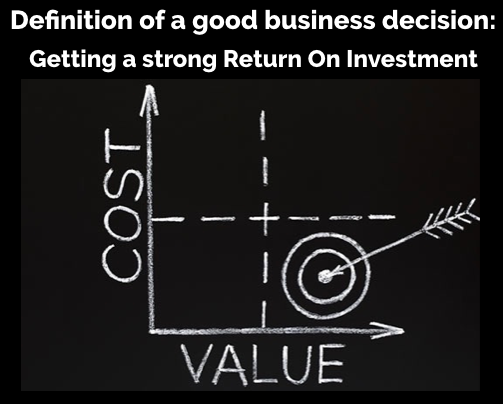 A good business question & decision to ask is "Will I get a positive return on investment?" and the answer is absolutely, undoubtedly. How much simply comes down to how much you apply what you learn. You will not only save yourself potentially months (or years) of learning (place a value on what that is worth to you) but you will learn how you can increase each of the 3 factors that ANY business is built on: the number of customers, the amount they spend with you & the frequency they deal with you. It's down to you to then take action but the ROI could be phenomenal. 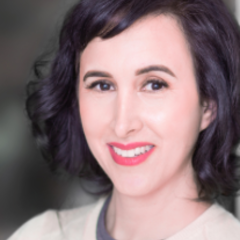 Frankie Widdows took what she learnt about video & YouTube from our training to become the world leading expert in her niche became a millionaire as a result! 3. Why have you made this training so affordable? Part of our purpose & mission is to help make important, (potentially) life-changing education available to many, not exclusively for people with deep pockets. We appreciate the current economic circumstances many people find themselves in & want to provide amazing value which can help transform & elevate their situation. Despite this training being worth 10 times the amount we'd rather impact more lives & deliver excellent value. Also you can help us to keep the training prices affordable by tagging or sharing with people you know can benefit. This helps us save advertising & marketing costs which we can then pass back to you, with gratitude. 4. Will this introductory special offer last? No, the whole point is to give you amazing value & a great price as a thank you for helping us to launch & share this brand new workshop. 5. What makes this a great choice for training? 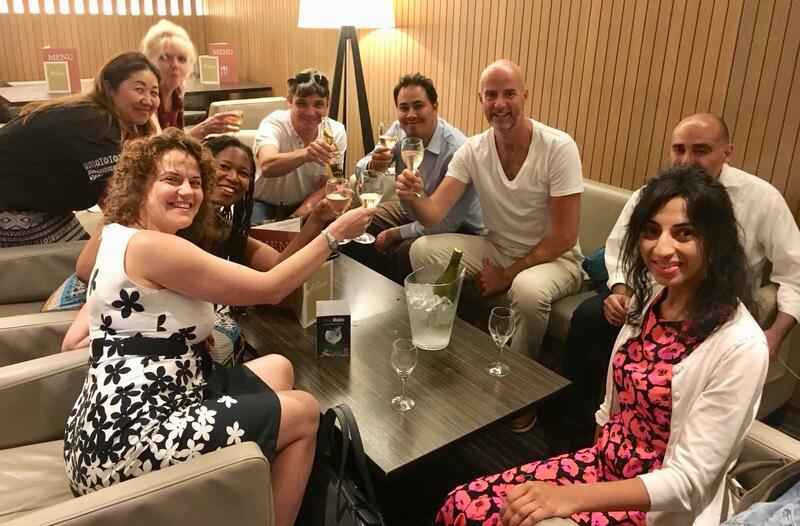 We have over a decade of experience training all over the world, at leading international business shows, for private clients, 1000's of business owners, co-authoring & delivering nationally accredited (NCFE) Diploma courses & writing & publishing books, videos & content. We are constantly upskilling, testing & learning to stay abreast of the latest developments so that we can pass this onto you & we have literally 100's of testimonials from delighted clients. 6. I'm not sure if I'm ready? If you hear yourself saying "I'm not ready" please note that you need this more than anyone. These skills are absolutely essential and if you're about to procrastinate you'll be playing catch up in months or years to come. What's the cost in lost opportunity whilst others race ahead with these skills. You are ready. Now! 7. I'm not techy enough to do it? The whole workshop has been created in an extremely simple, step by step process which anyone can follow. Ben has worked around the world with people of all ages, cultures & abilities. One thing he makes sure is that instructions & tutorials are clear, easy to follow & logically structured. Too many courses & instructors go from A to E missing out critical steps (such as C & D) because they assume the student knows the missing steps. We give you all the steps & there'll be a bonus evening drinks sessions for anyone who wants to stay, ask questions & network into the night. We believe in delivering world class content for amazing value which will significantly improve lives & businesses & leave the world a better place. We actively support many charities & non-profit initiatives and our overriding ethos is to leave the world a little better by helping individuals & businesses short-cut their time to increased results, happiness & purpose. 9. Do I need special software to access the training? No, all you need for the online training is a device with an Internet connection and a web browser. 10. How do I get in touch? 11. What are the payment methods available? 12. Do you have an affiliate scheme & can I be paid for sharing your training? Absolutely. We believe in win/win/win business. We want to help more people, and if you can promote & share our training with others then we are more than happy to pay you for any customers you introduce us to. Simply ask your contacts to quote your name when signing up & we'll give you £30 as a thank you. Of course, there is ZERO risk for yourself as we stand fully behind every training course we provide with our 30 day money back guarantee. You have absolutely nothing to lose & everything to gain! Access the training right now! 14. What if I’m not good with technology? Many of our students don't class themselves as being good with technology, and even if you feel like you know nothing about technology, you won’t feel left out. The few technical concepts are described in very simple terms while avoiding unnecessary jargon, which allows people from all age groups & of all abilities to successfully participate. Technology should not stand in the way of your ability to tap into this opportunity. 15. Is it safe to pay by credit card online? And of course, you're also protected by our generous 30-Day Money Back Guarantee. 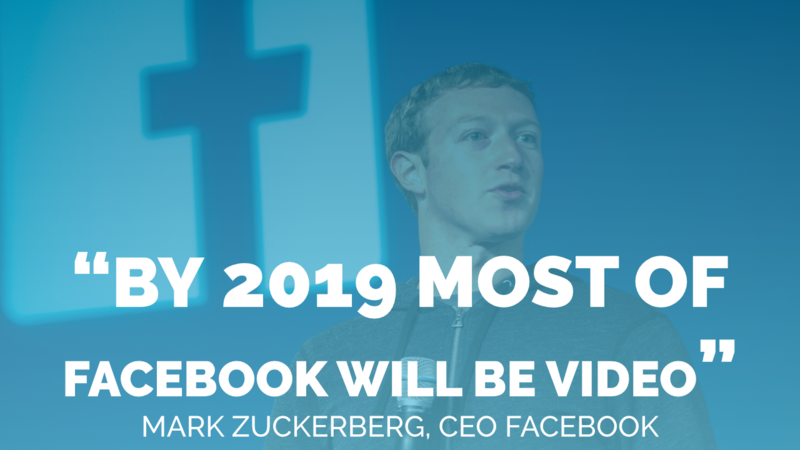 Make sure you're not playing an expensive catch up game in months & years to come - ensure you understand how you can use video to grow your business. 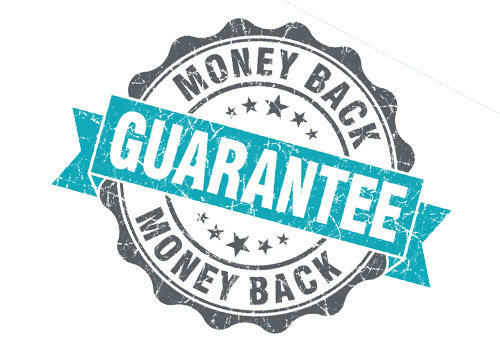 ZERO RISK - 30 Day Money Back Guarantee. Everything to Gain. 100's of people can't be wrong! We're looking forward to giving you access to Ben Brophy's '101 Ways to Grow Any Business Using Online Video' - which will help keep you at the forefront of the video opportunity.